Jessica L. Adler is Assistant Professor in the Departments of History and Health Policy and Management at Florida International University. Throughout Burdens of War, I connect policy debates and decisions with real life experiences of military veterans. Page 99 is heavy on the policy debate angle. That said, Blue’s statements hint at a central point of the book: the veterans’ health system was established, not simply because there was a consensus that former service members deserved publicly sponsored care, but because advocates made strategic, practical, and historically contingent arguments about why it was necessary. Like many Progressive Era public health advocates, Blue believed that the government should play a role in enhancing citizens’ well-being. The proposal that publicly sponsored facilities provide care to “all” honorably discharged veterans – many of them unable to afford treatment otherwise – was, to him, perfectly logical. But plenty of legislators disagreed. It was fiscally reckless and dangerously socialistic, they maintained, to provide federally funded health services to millions of veterans, including a great number who had never seen battle. Blue’s pragmatic justifications for expanding access were intended to undercut the arguments of skeptics. Echoed throughout the interwar years by veterans’ advocates, they helped form a sturdy ideological foundation for the establishment of a vast, federally sponsored health care system tailored to the needs of former service members. 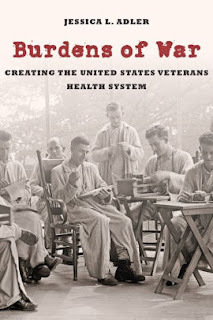 Learn more about Burdens of War at the Johns Hopkins University Press website. Zack McDermott has worked as a public defender for The Legal Aid Society of New York. His work has appeared on This American Life, Morning Edition, Gawker, and Deadspin, among others. I like this test. 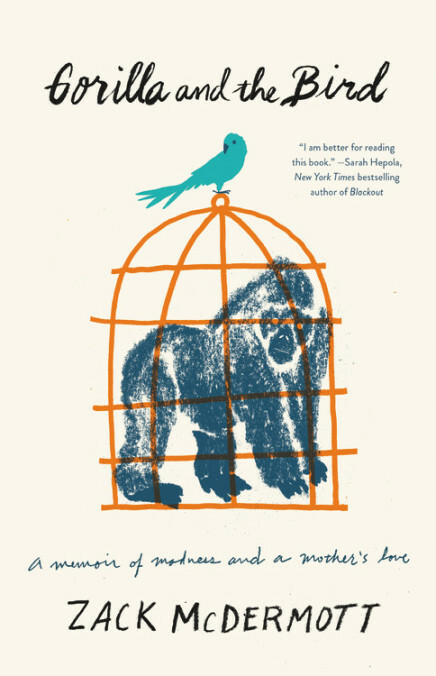 And, yes, I think it’s fairly representative of what readers can expect from Gorilla and the Bird. It’s kind of a funny scene – and it has one of my favorite descriptors of a character in the book: “He looked like he was no stranger to a Mountain Dew for breakfast.” This is at a psych clinic in Kansas shortly after I’ve been released from the locked psychiatric ward. Admittedly, the passage may come off as a bit judgmental, but I try not to hide my flaws and being too judgmental is definitely one of them. The person I’m really judging in the scene though is myself. I had yet to accept my diagnosis of bipolar disorder and, at that time, it didn’t feel bad to be struck with a severe mental illness, it felt like a moral failing – like I was damaged goods, a person to be avoided. Today I’m proud of being mentally ill and I’m proud about how open I am with my condition. Mental illness is nothing to be ashamed of, but it will remain a source of shame until people are able to openly and without fear of ostracism reveal that they have a DSM-V diagnosis. Sujatha Fernandes is a Professor of Political Economy and Sociology at the University of Sydney. She taught at the City University of New York for a decade and holds a visiting position at the Center for Place, Culture, and Politics at the CUNY Graduate Center. Her research combines social theory and political economy with in-depth, engaged ethnography of global social and labor movements. 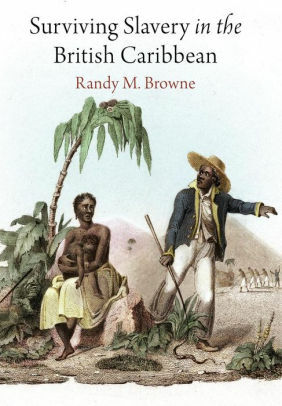 Her first book, Cuba Represent! 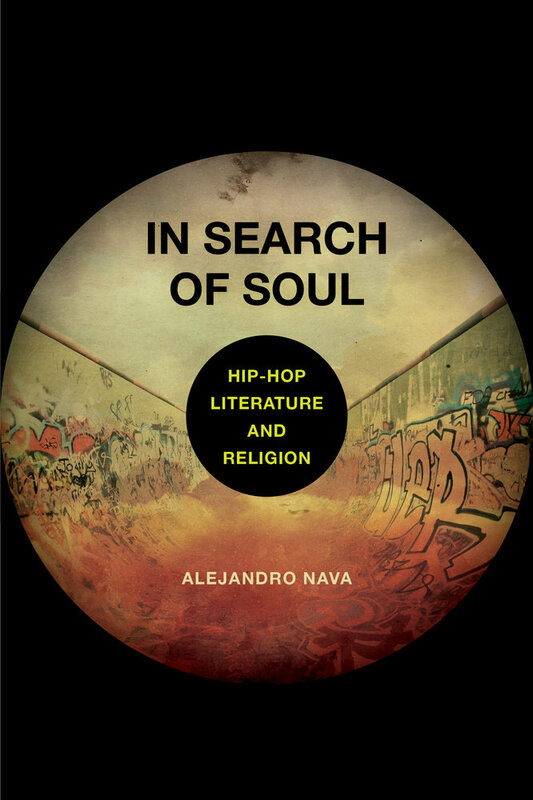 looks at the forms of cultural struggle that arose in post-Soviet Cuban society. Her second book, Who Can Stop the Drums? 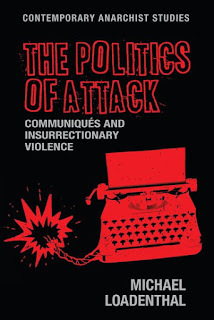 explores the spaces for political agency opened up for barrio-based social movements by a hybrid post-neoliberal state under radical left wing leader Hugo Chavez in Venezuela. 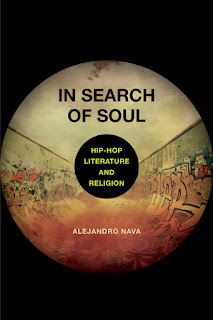 In her third book Close to the Edge, she explores whether the musical subculture of hip hop could create and sustain a new global cultural movement. 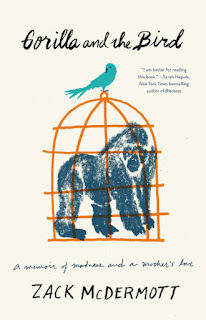 On page 99 I’m talking about the ways in which a national domestic workers organization used a controversial Hollywood film, The Help, in order to raise the profile of domestic workers, and how this strategy received pushback from some domestic workers themselves. The Help had been criticized for resurrecting a mythical “mammy” stereotype, for its comic treatment of the abuses faced by domestic workers, and for centering the plot on the triumphs of a young white benefactor who writes the women’s stories. My book Curated Stories argues that in the contemporary period, advocacy organizations, non-profits, and foundations have turned to the use of such curated stories to humanize their issues and gain the attention of the public. I explore how domestic workers used a storytelling advocacy approach to push for legislation that would protect their rights. They told their stories at the New York State legislature, to the media, and in rallies. But they found that the kinds of stories they could tell were highly circumscribed by legal and media venues, and they questioned whether telling their stories of horrific abuse and mistreatment actually brought them any benefits in the end. 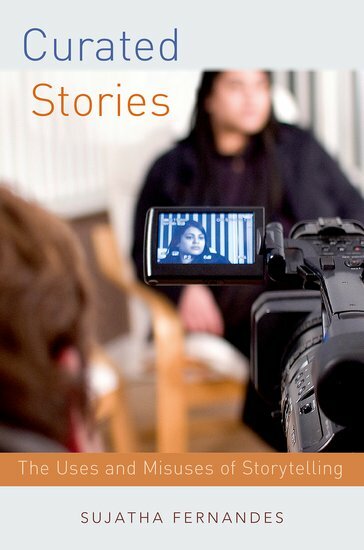 The book cautions us to be wary of the claim that storytelling may be a universal panacea for marginalized groups, and that while films like The Help may bring coveted modes of mainstream recognition for domestic workers, this may be at the cost of reproducing stereotypes about these groups. The Page 99 Test: Who Can Stop the Drums?. George Washington would have recognized the unifying vision of Abraham Lincoln, but Lincoln’s transformative ambitions would have astounded the first president. “The war came,” Lincoln wrote; the president acted to help the people find their way through to a better future. He was an active visionary and a collective redeemer, as never before. His beautiful words made him a new kind of leader for a new kind of nation, searching for the “better angels” of its originally sinful nature. Lincoln’s assassination, one month after his Second Inaugural Address, gives the speech a “farewell address” quality. Lincoln delivered another more informal speech on 11 April 1865, just a few days before his murder, but the Second Inaugural reflects his deepest thinking about the role of the American president. 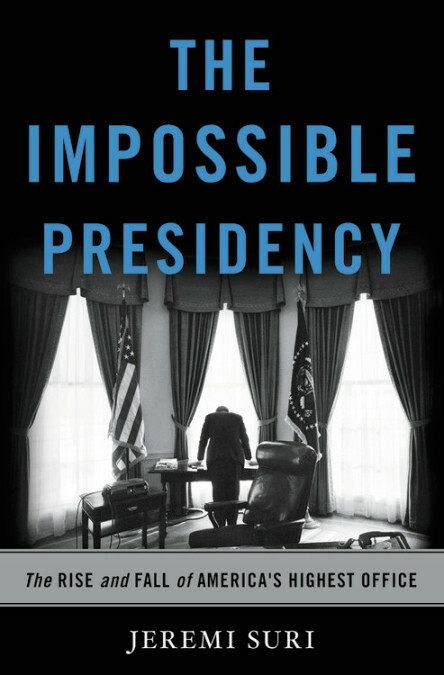 It also shows the fundamental transformation in the presidency from the troubled beginning of his time in office to his sudden and shocking death. Over two centuries the power of the American presidency has risen, but the effectiveness of the office has declined. I wrote The Impossible Presidency to understand this contradictory phenomenon. Many Americans are frustrated with their leaders, and many are seeking to “blow up” the system. 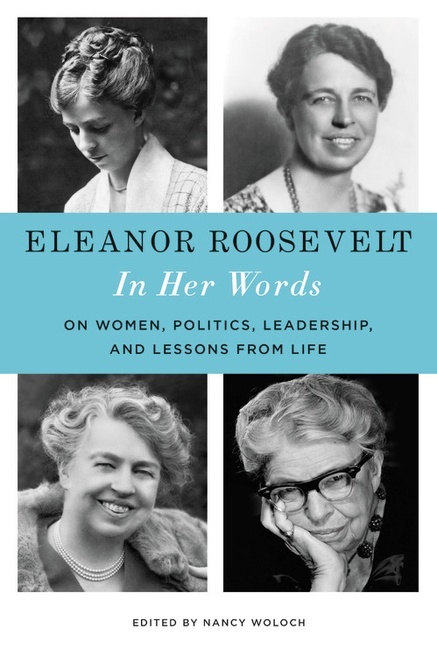 My book seeks to get beyond the name-calling and partisanship, to understand how the presidency has evolved to our current moment, and how we can make the office better for the future. Studying history gives us the broader view that we so desperately need in a time of deep division. Abraham Lincoln is one of the inspiring figures I examine. He was not a genius, and he was not always effective as president. But he understood the crucial unifying role of the president in times of conflict, and he found the words to define a new America for diverse citizens. Lincoln made the president into a nation-builder, and he left an enduring legacy for his successors. Although few presidents have reached Lincolnian heights, all aspiring leaders should learn from studying his example, and others. 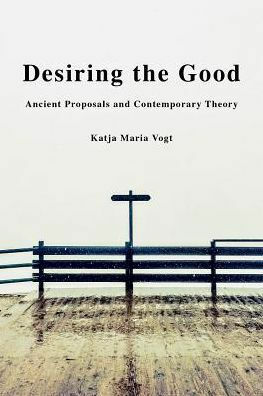 Katja Maria Vogt is Professor of Philosophy at Columbia University, New York City. In her books and papers, she focuses on questions that figure both in ancient and contemporary discussions: What are values? What kind of values are knowledge and truth? What does it mean to want one’s life to go well? Yes, you can get a sense of what Desiring the Good is about by reading page 99. On this page, I address Aristotle’s dictum that the good is different for human beings and for fish. What this really refers to is a way of doing ethics. In ethics, the thought goes, we ask what is good for human beings. This is not a weird kind of species egoism; it is, rather, the question of how we, as human beings, should live. This may well include that we ask what is good for fish as well as other non-human animals and take this into account in our actions. But we don’t ask how fish should arrange their lives: we ask how we should live. 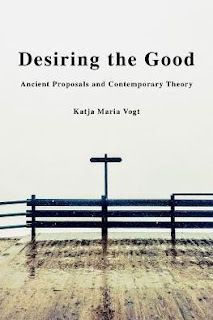 Desiring the Good offers a new version of ancient-inspired ethics, one that considers ordinary motivations as an inroad to ethical theory. On the view I defend, human motivation is guided by the agent’s conception of a good human life. I distinguish among the motivation for small-scale actions like having a cup of tea, for mid-scale actions or pursuits such as moving to London, and the largest-scale motivation to have one’s life go well. One of my projects throughout the book is to explore the relation between these three levels. On my account, ordinary action is already en route toward the good. We all have a conception of a good human life, even if much of it is implicit, confused, and a work in progress. We all are aiming at what is, by our own lights, a good human life, yet this conception may be muddled and flawed. If so, then ethics has its job cut out for it. If we operate with some such conception anyway, we better get clear about it—in the hopes that what guides our everyday motivations and larger-scale decisions is on target. Mara Einstein's "Advertising: What Everyone Needs to Know"
Mara Einstein is a Professor of Media Studies at Queens College, City University of New York. She brings more than twenty-five years of marketing and advertising experience to this work. She has worked as a senior marketing executive in both broadcast (NBC) and cable (MTV Networks) television as well as at major advertising agencies working on such accounts as Miller Lite, Uncle Ben's, and Dole Foods. Einstein's books include Compassion, Inc.: How Corporate America Blurs the Line between What We Buy, Who We Are, and Those We Help. Page 99 gets to the fundamentals of how advertising is created. Who creates advertising, how do marketers decide what to say, and how does the creative team put the ad together. Who is responsible for creating advertising? Advertising is created by teams of two made up of a copywriter and an art director. Based on a strategy statement or creative platform, they will generate a number of creative concepts. These concepts must then pass through the gauntlet of the creative director (who oversees all campaigns within an account), the account team, and finally the client. Along the way, the concept may be shown to a focus group of prospective consumers. How do marketers decide what to put in an ad? Using a combination of market research (what is going on in the business environment) and marketing research (everything the company has learned about the target consumer), advertisers will develop a message that they hope will resonate with their target audience. This information is synthesized into a short document called a creative brief. The information in this document is what the creative team uses to come up with the advertising. What exactly is contained in a creative brief? A creative brief, sometimes called a creative platform or a strategy statement, provides a distillation of consumer research and defines the elements that need to be included in the advertising for the creative team. There are variations in the format, but it will always include an objective, a definition of the target audience, a detailed product description and how consumers relate to the product, a one- line promise or consumer benefit, an accompanying one- or two- line support statement, and either a description of the brand personality or a definition of what the tone and manner should be— that is, should the commercial be serious, funny, or irreverent. Other elements that may be included are competition and known problems that inhibit usage. Bottom line: the creative platform defines who the advertising is talking to and what the advertising should make consumers think, feel, or do after having seen it. 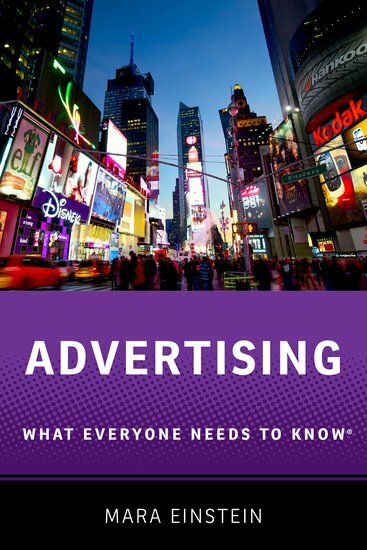 Advertising: What Everyone Needs to Know provides an overview of the advertising and marketing industries as well as tools to help readers understand advertising’s subtle, and not so subtle, impact on their life. The more we use mobile devices—and we are using them at an increasing rate—the more we are faced with someone trying to sell us something. Ad blockers help to reduce the commercial assault, but as consumers got better at avoiding ads advertisers got better at hiding them. Confusion has gotten so bad that it is difficult to discern the difference between an ad and a news article, a legitimate recommendation or a paid Influencer tweet. And while we surf and scan, advertisers scoop up our personal information, watch our every online move, connect that to our offline purchases, and then use all that data to sell us more stuff. The Internet is first and foremost an advertising platform—an idea many forget while watching the latest YouTube video or reading about the president’s latest tweet storm. Learn more about Advertising: What Everyone Needs to Know at the Oxford University Press website. The Page 99 Test: Compassion, Inc.
Anna Alexandrova's "A Philosophy for the Science of Well-Being"
Anna Alexandrova is a Senior Lecturer in Philosophy of Science at University of Cambridge and a Fellow of King's College, having previously taught at the University of Missouri St Louis. 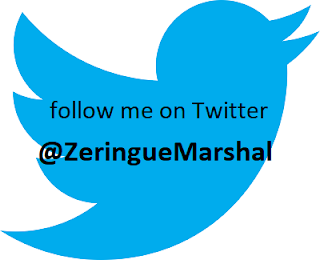 She writes on philosophy of social sciences, especially economic modelling, explanation, and the sciences of well-being. If only I had known about Ford Madox Ford and his page 99 test... As I didn’t, my page 99 does two things that are probably as uninteresting to most readers as they are obligatory to academics: signposting where the argument is going and bowing to relevant literature. It also has lots of empty space, which is about as informative. Please don’t judge my book by its 99th page. But the idea I am servicing with all these accoutrements is good and right. 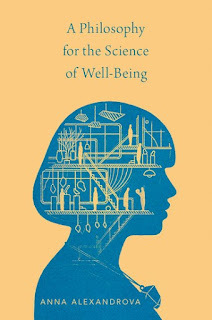 The fundamental problem that animates this book is that today social and medical sciences are asked to speak on well-being, quality of life, and happiness – phenomena whose definitions are a matter of values – and science must speak on them while adhering to the ideals of precision and objectivity. The collision of these two ambitions – to advise on what is good for us and to do so scientifically – forces all sorts of new and distinctive compromises. As a scientific object well-being needs to have a clear and unambiguous definition (which it doesn’t normally), a precise measurement scale (which it doesn’t normally), a measurable connection to behaviours and material goods (also elusive). I have found that scientists resolve these tensions by modifying both the object of research, i.e. well-being, and the norms by which they study it. As a result of such, often sneaky, dovetailing ‘well-being’ ends up meaning something a little different and the traditional scientific ideals are also not what they used to be. This is not in the least a criticism. There are no immutable meanings of words, nor rules of science written in the sky. One scientific norm this field has already redefined and rightly so is objectivity, which is what my page 99 is all about. If objectivity means detachment from value judgments and commitment to facts and nothing but the facts, there could be no science of well-being. It couldn’t even get off the ground in its initial act of delineating its subject matter. A better ideal of objectivity for this field is to embrace value-ladenness but set up public and explicit rules for how value judgments should be justified to the individuals and communities about and for whom this research exists. It can be done and it has to be done because good life is too important not to know about. In a sense the science of well-being is too big to fail. Learn more about A Philosophy for the Science of Well-Being at the Oxford University Press website. Gideon Reuveni's "Consumer Culture and the Making of Modern Jewish Identity"
Gideon Reuveni is Reader in History and Director of the Centre for German-Jewish studies at the University of Sussex. His central research and teaching interest is the cultural and social history of modern European and Jewish history. 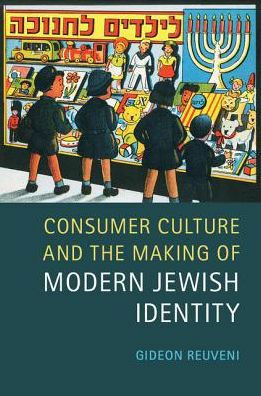 Consumer Culture and the Making of Modern Jewish Identity explores the changing nature and dynamic of consumer cultures in the context of Jewish history. 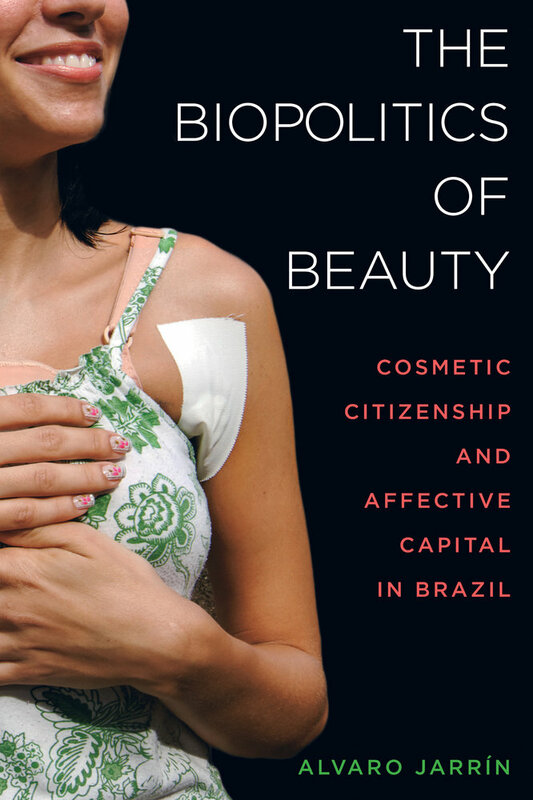 It reveals the multifaceted process through which minorities are able to maintain a separate identity through consumption while concurrently, as consumers, feeling integrated in their host societies. Consumerism, it is here argued, refashioned Jewish cultures and provided new venues to imagine cultural belonging beyond the existing denomination of religious, social and political differences. The significance and contribution of this study is that it locates Jewish history within broader developments that may have facilitated cultural diversity and Jewish identities. In a wider sense, the book’s innovation lies in the fact that it employs a cultural approach to economic activities, suggesting that the very coherence of the economy and its ability to function depends very much on the aptitude of people to interact, to allocate values and norms to others, and on their willingness to share mutual representations. Page 99 falls in the introduction section to part two of the book, which deals with the relationship between consumption and politics. 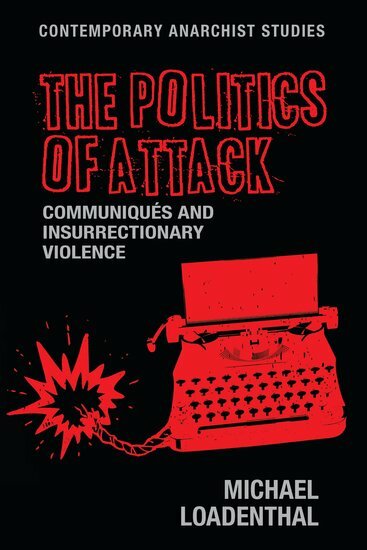 In this page I call attention to the connection between Hannah Arendt's reading of the “Jewish condition” of victimization and exclusion from the world of political realities and her understanding of the “human condition.” Unable or unwilling to develop along industrial capitalist lines, Jews, Arendt argues, concentrated in consumer-oriented professions facilitating the emergence of a modern, passive and worldless, consumer society. Her view of consumer society neatly corresponds to her position on so-called Jewish passivity, and the failure of Jews to act politically. The ensuing chapters contest Arendt's reading. They do not only depict consumption as a site of resistance, but also reveal how Jews struggle to negotiate between their desire to retain Jewish distinctiveness with the demand for political and social emancipation. It should be emphasized that there is nothing definitive in this study. My concerns here are to a large extent heuristic and my conclusions are still provisional. The realm of Jewish consumer culture is so large and its history so little known that this book has done scarcely more than set out some preliminary markers that will hopefully facilitate the way for more detailed investigations of this important field of historical inquiry. Learn more about Consumer Culture and the Making of Modern Jewish Identity at the Cambridge University Press website. L.W. Sumner has published extensively in ethics, political philosophy, and philosophy of law. His books include Abortion and Moral Theory and Assisted Death: A Study in Ethics and Law. He is a Fellow of the Royal Society of Canada and winner of the 2009 Molson Prize in Social Sciences and Humanities from the Canada Council for the Arts. 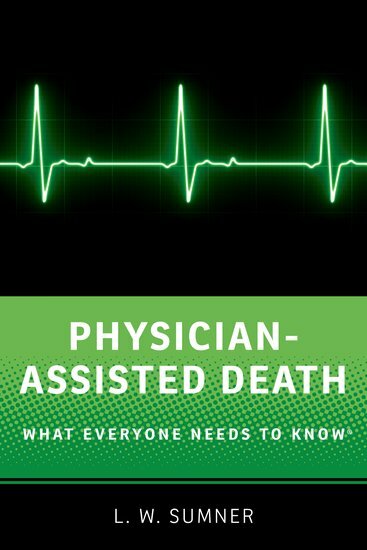 As it turns out, page 99 of Physician-Assisted Death is pretty darn interesting (as, of course, is the entire book). It is smack dab in the middle of a discussion of whether psychiatric illnesses should (if they are sufficiently serious, intractable, and distressing) be able to qualify a patient for PAD. This is one of the hotter issues in a generally hot topic: whether PAD is ethical and whether it should be legal. 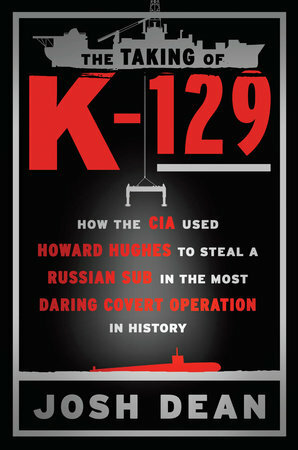 The book as a whole deals with all (I repeat, all) of the issues implicated in these debates. It provides the interested and conscientious reader with everything he or she needs in order to decide where to stand on these important questions. 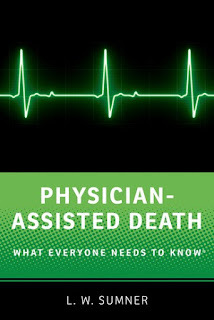 Learn more about Physician-Assisted Death at the Oxford University Press website. 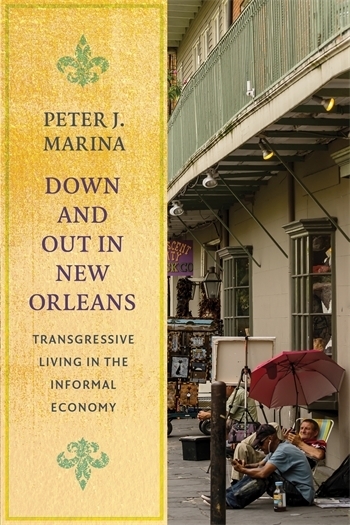 Peter Marina is a New Orleans native and Associate Professor of Sociology at the University of Wisconsin – La Crosse. St. Roch cemetery, New Orleans, two in the morning. We hop cemetery gates tripping on mushrooms. Another night, it’s the swamp this time. The police search for us. We tell them all about that damn gris-gris. Next scene, same city, same night. The Marigny stroll filled with life and street poets, food vendors, and spectators loosening their “uptight sphincters” for the very first time, capturing the carnival of New Orleans life. But city officials occupying the great halls of corruption and scandal of New Orleans city hall make a mess of it all. Glance toward another direction of the city to find buskers playing on the Frenchmen Street of broken dreams and gutter punks sneaking into abandoned buildings just off in the dark distance of hurricane ravaged houses still abandoned. We hear Orwell’s words about the conditions of poverty, a society that finds the poor repugnant while simultaneously fearing their potential for revolting. While tourists consume a watered down and appropriated New Orleans black culture, wealthy carpet bagging gentrifiers price out the black and creole community from their historic homes. Everyone seems to love New Orleans, they love it to death. A local working class New Orleans boy from Gentility gets a fancy degree and writes a book about joys and heartbreaks of the fascinating yet tragic city of New Orleans pushing towards an increasingly precarious future. As wetland depletion, climate change, and elite urban planners place the final nails in the coffin, we citizens of the swampy soils of New Orleans celebrate this tragedy defiantly second-lining to the final goodnight. The author feels himself drowning everyday as his city slips away, just as did everything but his memories when Katrina tore away all that was left of Odin and Spain Streets. It is time for us to save New Orleans from becoming down and out. It’s time to save the city from the new monsters of modernity that wreak havoc on our land and culture, or risk losing it all. 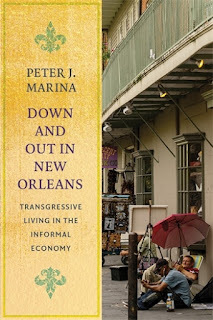 While the whole quality of the book may not be revealed on page 99, it captures one of the many scenes of the book that tells the story of Post-Katrina New Orleans, its struggles and triumphs, and it’s push to survive and prosper under the most precarious conditions of our times. My Book, The Movie: Down and Out in New Orleans. The temperature rises rapidly, and life in the cell becomes unbearable. In the summer heat at Parchman, this one aspect of the punish­ment cells would make them entirely unacceptable by any standard of human decency or of health and mental health minimum standards. But in addition to this cruel and entirely excessive and punitive measure that clearly serves no legitimate penological objective, Mr. Russell reports that his cell is always filthy, the rain pours in through the walls onto his bed, the toilet floods the cell with backflow from other prisoners’ toilets, there are bugs everywhere, the cell is filled with mosquitoes at night, he cannot sleep at night because the lights are on 24 hours per day, he is not permitted to have a fan, he is not permitted television or radio and there are no activities, and he is even more isolated than other prisoners on Death Row because the Lexsan shield over his door makes it impossible for him to talk to anyone. For two years, he was permitted no mattress, no pillow and no sheets, and had only a blanket and the concrete for a bed. This kind of punitive deprivation and degradation is barbaric, and shocking to human sensibilities. It is the kind of cruel and unusual punishment that is well known to cause intense anxiety and rage, psychiatric breakdown, and in a large proportion of cases, suicide. …. But clearly the treatment of Mr. Russell constituted torture. Those who have spent a long time in a solitary confinement unit, much like those who have been tortured during war, suffer lasting damage and never make a complete recovery. In the big picture, the decimation of life skills, destroying a pris­oner’s ability to cope in the free world, is the worst thing solitary confine­ment does. In that process are all the elements of torture even without hoods, waterboarding, or electric wires. 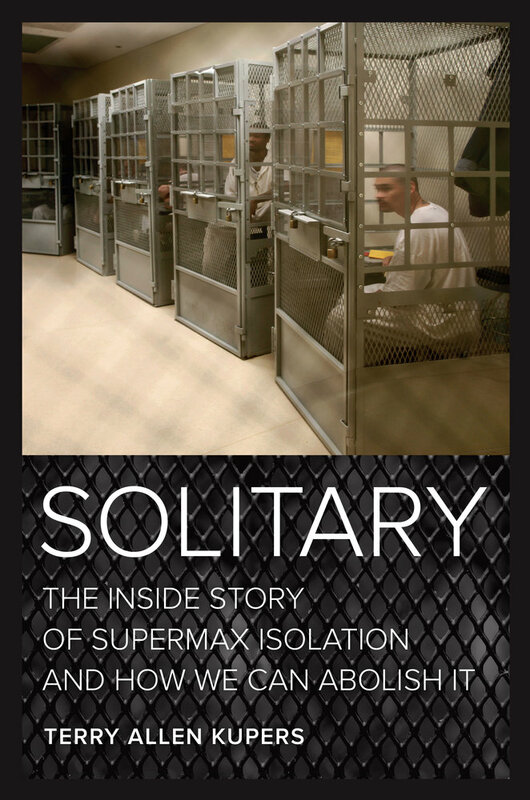 Enough said about the horror of supermax solitary confinement. In the book I proceed with more stories plus a discussion of the alternative to solitary: rehabilitation, quality mental health treatment and humane conditions in our prisons. 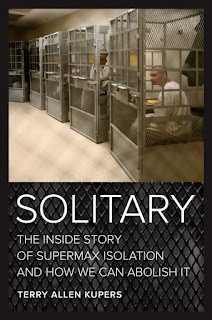 Learn more about Solitary at the University of California Press website. Stephen Nash is the author of Grand Canyon for Sale — Public Lands versus Private Interests in the Era of Climate Change; Millipedes and Moon Tigers: Science and Policy in an Age of Extinction; Blue Ridge 2020: An Owner’s Manual; and Virginia Climate Fever: How Global Warming Will Transform Our Cities, Shorelines, and Forests. If you've been fortunate enough to visit Grand Canyon National Park -- more than five million of us do that every year -- the view is usually the draw. The reason for that banal observation is that it gives me the chance to point out that much of the time, that view is obscured by air pollution, a lot of it from coal-burning power plants in the region. 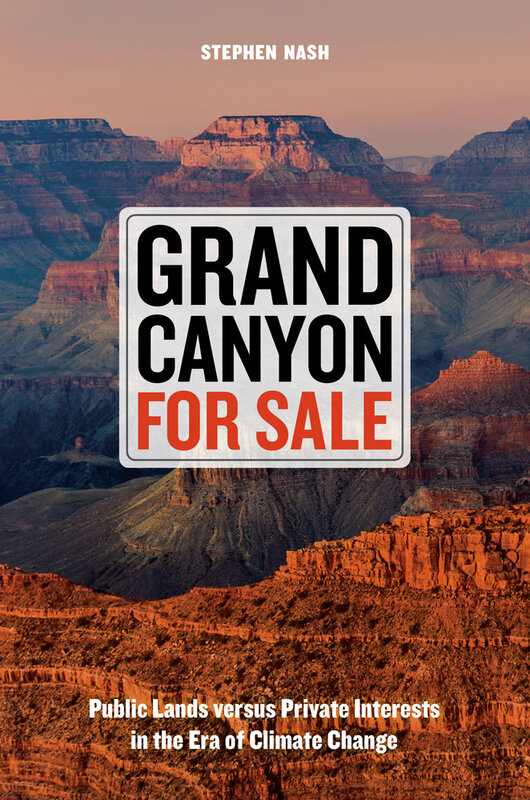 That's one example of how private interests degrade our national parks, national forests, and the vast expanses of our other public lands. Mining, logging, drilling, grazing, invasive species, giant shopping malls and lucrative helicopter overflights -- they are all taking their toll on the wildlife, the solitude, the very future of natural systems on those landscapes, which take up more than a quarter of our national dirt. 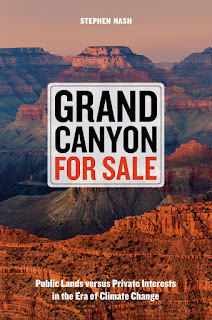 They're public lands -- their natural heritage belongs to us -- but powerful political forces, including the Trump administration, are hell-bent on selling them off, either outright or piecemeal. But scientists in a variety of fields point out that future generations, even the next generation, will witness mounting degradation of parks and public lands -- their natural systems are falling apart, as study after study documents. Climate change, especially, is beginning to force open the artificial boundaries we've drawn around national forests, rangelands, parks and prairies. We will need to combine them -- and do far more to protect them from the incursions of private interests -- if we want them to survive. Lane Demas is associate professor of history at Central Michigan University. Page 99 introduces a key celebrity who encouraged African Americans to take up golf as much as anyone else in history. From 1937 to 1949, Joe Louis was world heavyweight boxing champion, wildly popular with white and black Americans, and the world’s most recognizable African American. Yet he often drew as much attention for his interest in golf than for his boxing prowess. Stories of his devotion to the game were legendary: as the page notes, press reports in 1941 hinted that excessive golf caused the breakdown of his marriage; five years later “Louis threatened to sue Ebony after an expose claimed he owed $60,000 in golf debts and played high-stakes matches with entertainers Bing Crosby and Bob Hope for $1,000 per hole.” Louis regularly hinted that he intended to give up boxing for good so he could hit the links more. Joe Louis was also a major supporter of the United Golfers Association (UGA), a black golf organization that operated from 1925 to 1975 and served as a parallel institution to the all-white Professional Golfers’ Association (PGA). (That’s why he is introduced in chapter three, “Our Masters: The Development of the United Golfers Association.”) Louis appeared at UGA events around the country, organized its tournament stop in Detroit (the Joe Louis Open), and helped finance a cadre of black players who routinely desegregated PGA tour events beginning in the 1940s – including Bill Spiller, Ted Rhodes, and Charlie Sifford. With Louis’s support, the UGA blossomed into much more than a “black golf tour” and it was unlike any other black professional sporting organization in American history. With tournament stops around the country, including the South, it sustained a lasting, national reach that rivaled any single black baseball league. Nearly every black professional who competed on the PGA/LPGA tours before the 1996 emergence of Tiger Woods (27 men and 3 women) participated in UGA events. Along those lines, page 99 is relatively representative. 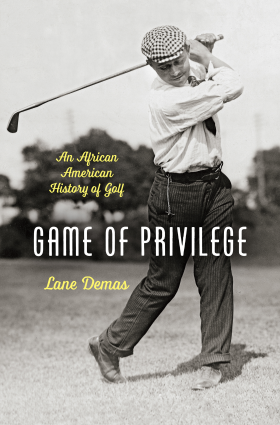 The book tries to cover the history of black professionals and familiar, high-profile folks – from caddie John Shippen competing in the 1896 U.S. Open, to singer Marvin Gaye taking up golf in the 1970s. And, yes, it concludes with a chapter on Woods. Yet Game of Privilege actually devotes more coverage elsewhere: to the little-known stories of black caddies who shaped the game in the South against all odds; to the 29 major lawsuits African Americans successfully organized between 1940 and 1970 to desegregate municipal golf courses nationwide; indeed, to the fundamental meanings of golf in American history and the intriguing relationship between the struggle to integrate the game and the broader Civil Rights movement. Learn more about Game of Privilege at The University of North Carolina Press website. William Chapman Sharpe is professor of English at Barnard College, Columbia University. His books include New York Nocturne: The City After Dark in Literature, Painting, and Photography, 1850-1950 and Unreal Cities: Urban Figuration in Wordsworth, Baudelaire, Whitman, Eliot, and Williams. In real life shadows are accidents of the light. But in creative works such as Jane Eyre shadows have been put there for a reason. Shadows may not be able to feel, but people inevitably feel the force of shadows. Grasping Shadows brings the largely unconscious act of shadow-processing out into the open. The book demonstrates how shadows communicate ideas and emotions in just about every kind of representation, from billboards to popular songs to Hollywood films to masterpieces hanging in museums. Page 99 falls in the middle of a chapter on what I call the Vital Shadow, a shadow that reveals the life-force of its caster. Appearing to be connected to the soul or the psyche is one of the shadow’s most fundamental traits.. The shadow is an inside that displays itself outside, and audiences have to figure out how to respond to its power or vulnerability. Is what lurks in that dark shape something to be loved or feared? Is it something sexual, demonic or divine? Further down the page there’s an illustration of a fifteenth-century altar painting called St. Wolfgang and the Devil. Here, the devil’s shadow shrivels as it approaches the saint, as if could not survive in the light of the gospel that the holy man preaches. But what about figures that lose their shadows completely? Or shadows that wander independently of bodies? Or shadows that do not match the bodies to which they are attached? 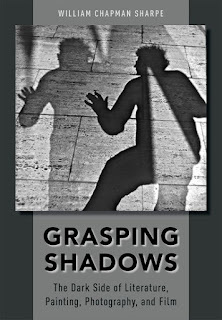 Grasping Shadows explores how all these shadows silently speak to us, and shows how to understand the apparently infinite range of shapes that shadows assume in texts and images. Once we are sensitized to the shadow’s basic repertoire of tricks and traits, we can see the dark side of literature, painting, photography, and film in a whole new light. 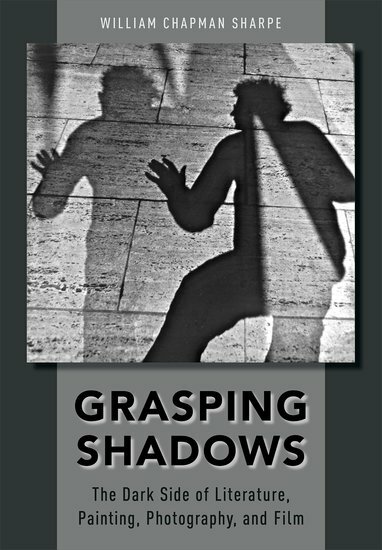 Learn more about Grasping Shadows at the Oxford University Press. The Page 99 Test: New York Nocturne. 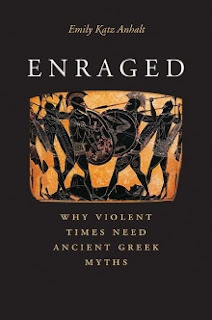 Emily Katz Anhalt's "Enraged: Why Violent Times Need Ancient Greek Myths"
Emily Katz Anhalt teaches Classical languages and literature at Sarah Lawrence College. She holds a Ph.D. from Yale University and is the author of Solon the Singer: Politics and Poetics. “…he fell face first upon the corpse far from fertile Larisa, nor did he give recompense to his dear parents in return for their rearing him. But his lifetime was brief, as he was laid low by the spear of high-spirited Ajax” (Iliad 17. 293-303). Ajax may feel proud of this conquest, but the narrative prevents the audience from sharing his enthusiasm. We imagine instead the grief of far-away parents. The details in these descriptions of death emphasize the contrasts between the values of the characters and the perspective of the audience. Warfare, for the characters, provides the opportunity to win glory. But the similes and little vignettes evoke the experience of the victims and validate the lives lost…. The Iliad makes us see all dying warriors, not just Greek ones, as fully human and important and their deaths as tragic. The ancient Greeks established the world’s first-ever democratic political institutions. Over centuries, their myths accompanied and promoted this historically unprecedented transition from tribalism to civil society and emphasized the crucial first step: recognize that rage-fueled violence doesn’t serve you very well, and stop admiring violent rage in other people. Stories we read, watch, or tell shape our attitudes and priorities. They teach us what to admire and what to condemn. Ancient Greek myths remind us that you can make all the economic and institutional changes that you want, but unless you address the human propensity for violence, you are not going to find yourself living in a desirable, flourishing community. In practice, democratic procedures and institutions can easily promote tyrannical abuses of power and even atrocities. Over many centuries, Greek myths exposed rage-fueled violence as short-sighted and self-destructive. They criticized the abuse of power and introduced the concept of verbal debate as a more constructive alternative. 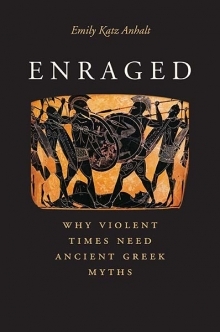 Each chapter of Enraged includes a retelling of a tale from Homer’s Iliad (c. 8th-century BCE) or two 5th-century BCE Athenian tragedies followed by a discussion of the story’s significance. Page 99 discusses the Iliad’s depictions of hand-to-hand combat in the Trojan War. Similes and biographical details of fallen warriors emphasize the tragic loss of each human life, Greek and Trojan alike. Distinguishing the audience’s perspective from that of the characters, the Iliad began – more than 3,000 years ago -- to challenge the Greeks’ traditional enthusiasm for violence and to cultivate the audience’s capacity for empathy. Democracy wasn’t even a concept until the late 6th century BCE, when the Athenians coined the word and tried the experiment. Non-violent democratic decision-making largely prevailed in Athens for nearly two centuries (508-322 BCE). In the 21st century, however, we are moving in the opposite direction, often reverting to violence in tribal and partisan confrontations. World-wide, we are empowering strongmen, autocratic rulers who may even be popularly elected. Ancient Greek myths remind us of the costs to ourselves of relying on rage-fueled violence as a political tool. They remind us of the value of empathy, self-restraint, and productive discussion. Learn more about Enraged at the Yale University Press website. 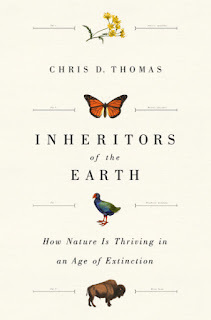 Chris D. Thomas is a professor of conservation biology at the University of York, UK. A prolific writer, he has published 210 scientific journal articles, 29 book chapters, edited one academic book, and has written around 20 magazine and other popular articles since 2000. His works have been cited more than 26,000 times, making him one of the world's most influential ecologists, and his research has been covered on the front pages of the Guardian and Washington Post. He was elected a fellow of the Royal Society in 2012, is a long-standing fellow of the Royal Entomological Society, and received Marsh Awards for Climate Change Research in 2011 and for Conservation Biology in 2004 and the prestigious British Ecological Society President's Medal in 2001. In 1808, the small lakeside town of Intra became home to Italy’s first steam loom, a picturesque ‘Manchester of Italy’. Industrial wealth meant rich people, and rich people in the nineteenth century craved country villas and gardens. Their enthusiasm for exotic plants to embellish the land became a passion and, to this day, the shores of Lake Maggiore are dotted with plant nurseries and garden centres. A new era had dawned. From a modest start in which humans had deliberately transported a few different kinds of crops, livestock and medicinal plants over thousands of years, the importation of new species had gone into overdrive. The age of European palm forests was about to commence. So this brings us up to the 20th and 21st centuries, by which time semi-tame birds are gorging themselves on exotic fruits, and mice and squirrels are establishing caches of seeds to see them through the winter; thus transporting seeds out of the gardens and into the forest. Seedlings sprout along the bases of hedgerows, in the back of every garden border, and under any tree where a defecating or regurgitating bird might sit. A profusion of saplings can be found in the adjacent forest. Wherever wildling palms have grown large enough to produce their own fruits, the under-storey is a veritable jungle of second-generation fronds. A few seeds have been transported half a kilometre [a third of a mile], or even further, from the nearest palm-containing garden, which is about as far as most birds can be expected to fly in one trip. Within a palm generation or two – a human lifetime – virtually all of the warm, forested slopes that line the banks of the lake will be verdant palmeries. .. the industrial moguls who acted as plant hauliers from the east also brought us global warming, and the severity of winter frosts abated in the region during the second half of the twentieth century. With warmer winters, the [imported evergreen plants from Asia, North America and Australia] gained an advantage. Palms and camphor could now grow more luxuriantly than [native] linden trees. All that was required was for the blackbirds and squirrels to assist their escape from the industrialists’ gardens. The transport of plants across the world, climate warming and semi-tame animals all combined to bring about the transformation. It is not just the forest. The lake itself is full of foreign species, most of which have been introduced [mostly from North America] in the last century. The pike-like zander-fish is an import, although only from elsewhere in Europe. An oversized specimen of this denizen of the deep had to be tracked down by police harpoonists after a troublesome individual bit chunks out of six bathers – in compensation, its walleye-flavoured meat was served to the tourists. [The lake now] contains many more kinds of fish than before humans arrived on the scene, just as the forest now supports newly arrived populations of exotic trees and shrubs. The consequence is that the region now supports more species in total than it used to, prior to the arrival of humans. And this is generally true across the world. The number of species found in most parts of the world is going up, not down, because numbers of biological gains often exceed the numbers of losses. Evolution is even making a contribution. Relaxing back at my lakeside lodgings, I can hear the cheep of Italian sparrows on the roof. It is a new species. Its Asian house sparrow ancestors hybridised with Spanish sparrows somewhere on a farm or village in Italy, and their offspring now live exclusively in human-altered landscapes in the Italian Peninsula. Without human agriculture, the house sparrow would not have spread from Asia, and they would not have met up with their Spanish relatives. The consequence is that the world has gained a new species – thanks to humanity. While we all appreciate the biological losses of the human epoch, we should also accept the gains – species that have colonised new places in recent times, and new genetic forms – with good grace. We should promulgate biological gains as often as we fight loss. Nature is not an old master that requires restoration to some imagined pure state that used to exist. Nature is a work in progress, and we are now part of it. We have generated a New Pangea, humans acting as an inter-continental glue, connecting the biological worlds of different continents. The consequence is that the most successful species are coming out on top. 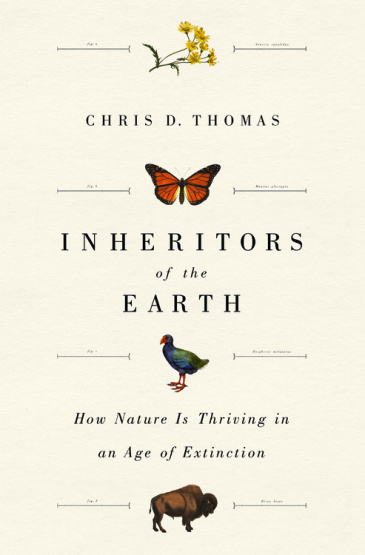 Learn more about Inheritors of the Earth at the publisher's website. Geoffrey Galt Harpham's "What Do You Think, Mr. Ramirez?" Geoffrey Galt Harpham is visiting scholar and senior fellow of the Kenan Institute for Ethics at Duke University and former director of the National Humanities Center. His books include The Humanities and the Dream of America. On page 99, I'm talking about the exaggerated role of opinion in American civil society. The Declaration spoke of "a decent respect to the opinions of mankind," and the democracy that arose from the Revolution presumed that all citizens would be capable of formulating independent opinions on a wide range of questions on all the issues involved in self-governance including, crucially, the interpretation of the Constitution, the law of the land. The nation was founded on the rock of opinion. Unfortunately, opinion is not at all rock-like. It is inherently debatable, unstable, changeable, and a nation lays such great emphasis on the value of the individual opinion is vulnerable to gusts of irrationality. Page 99 mentions de Tocqueville's alarm about the tropism to tyranny and demagogy in the United States. I suggest at the bottom of the page that the Constitution's system of checks and balances was an attempt to counter the tyranny of the majority. On subsequent pages, I develop the argument that the American educational system was formulated as a means of developing and disciplining the mighty but unstable force of opinion. The prominent role accorded in this system to the humanities, and to English in particular, reflects that fundamental mission. This, then, is the rationale behind the American system of education, which, although under stress in this country, has produced spectacular results, and is now being widely emulated by other countries. 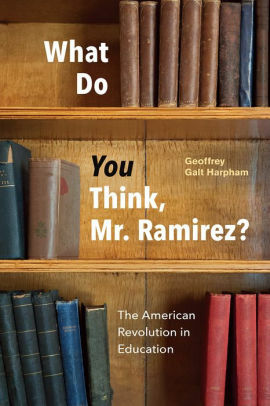 Learn more about What Do You Think, Mr. Ramirez? at the University of Chicago Press website.